Write a program in C# Sharp to accept a matrix and determine whether it is a sparse matrix. The given matrix is sparse matrix. There are 3 number of zeros in the matrix. 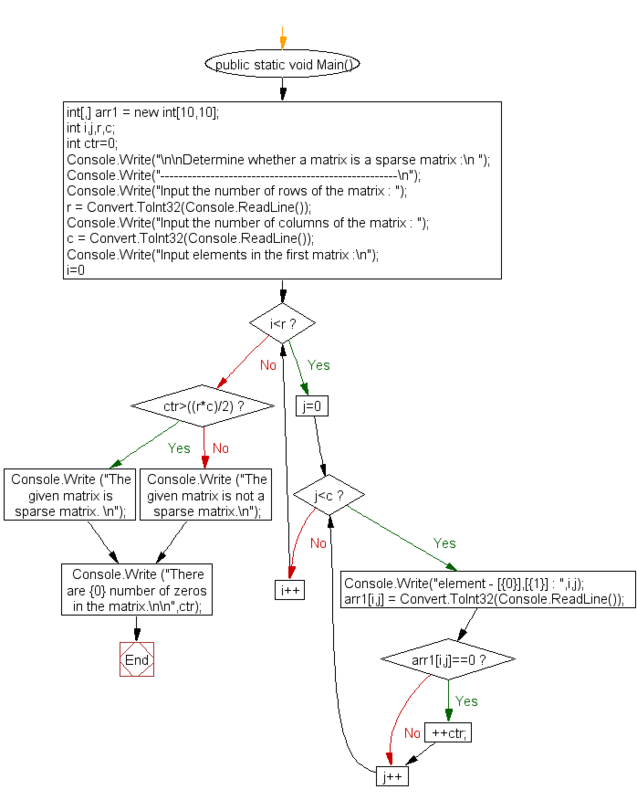 Previous: Write a program in C# Sharp to calculate determinant of a 3 x 3 matrix. Next: Write a program in C# Sharp to accept two matrices and check whether they are equal.